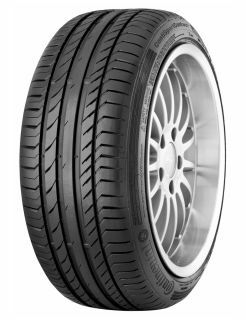 With the launch of the Conti Sport Contact 5, Continental has developed a tyre which is equally suitable for sporty cars & SUVs with sporty driving characteristics. With this new development, the tyre engineers have made significant progress in comparison to the popular predecessor Conti Sport Contact 3. This was made possible due to a new compound which focuses on maximum power transmission and provides low rolling resistance whilst driving normally.